Neighbor Greg has added a 1954 view of the North Decatur & Clairmont Roads intersection, circa 1954. The image was shared by Leonard Thibadeau. 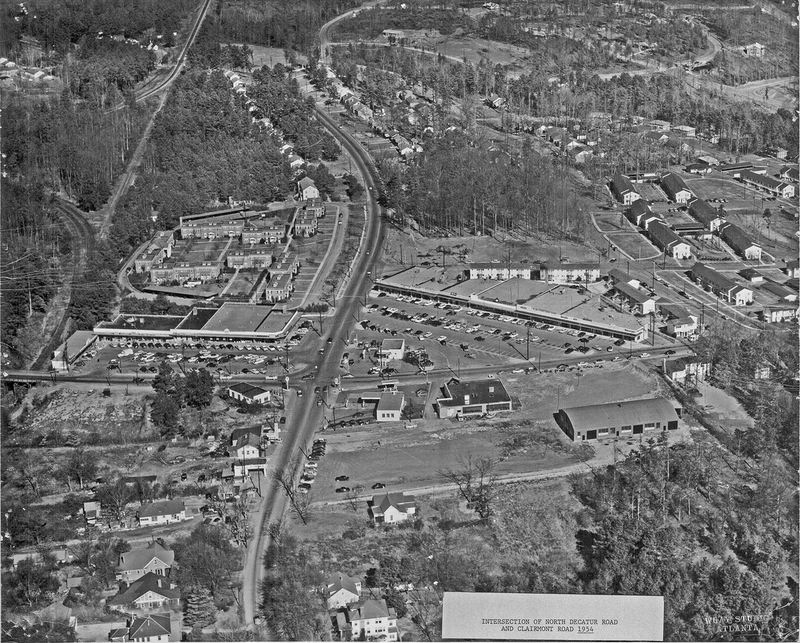 North Decatur and Clairmont Roads' intersection, circa 1954. The Atlanta Time Machine has a high-resolution version of this photo. Thanks, Greg, for setting up a Medlock-centric 1950's page to gather these images as they become available.